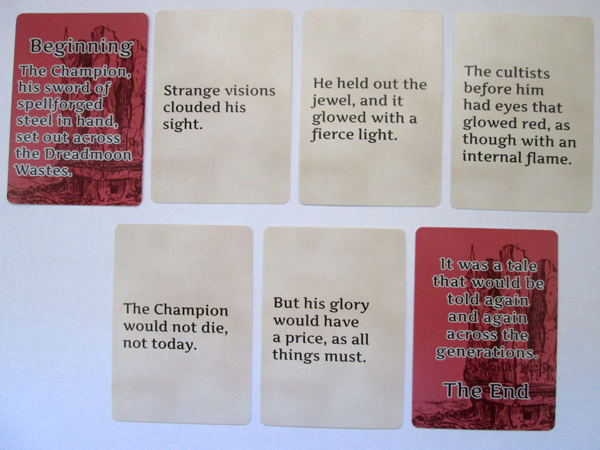 Five-Card Fictions decks give you a set of 52 cards that tell stories through endless combinations. Play alone or with friends, letting strange little stories unfold. 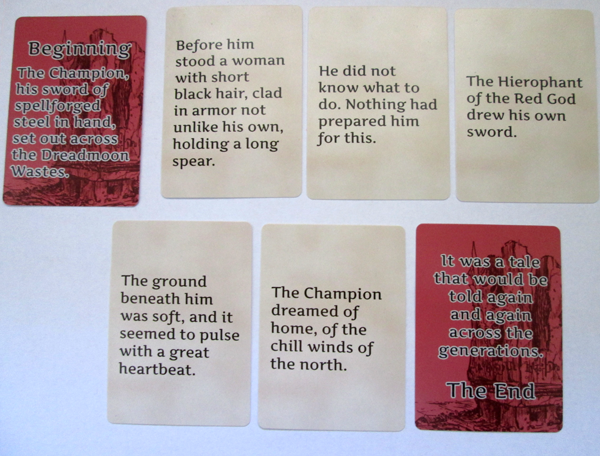 Play five cards and see a little story, or play a more complex game alone or with friends. Be sure to check the companion PDF for the full credits and ideas for other ways to play! In this second volume, behold as the Champion undertakes a dangerous journey into the Dreadmoon Wastes, to meet his fate in this sword and sorcery tale of endless combinations.